It’s been rough week. I don’t believe that deaths really happen in threes, but I have attended three funerals in the past five days. Funerals always make me introspective. Going to three in a row has left me feeling a little sad and pensive. As I reflect on their lives though, it’s easy to recognize a common thread — a thread that brought them personal happiness and made other people’s lives better. In these three men, who couldn’t have been more different, I see true greatness. The first funeral was for Thomas S. Monson, President of the Church of Jesus Christ of Latter-Day Saints. As the leader of a worldwide church with 16 million members (myself included), countless pieces have been written about this great man and his lifetime of service. This article by McKay Coppins is one of my favorites. President Monson served in the highest positions of authority in his church since 1963, and it’s no exaggeration to say that he positively impacted many millions of lives — including mine. (As a child, President Monson’s talks were the only talks that could keep my attention…his sing-songy delivery, entertaining anecdotes, trademark alliteration and use of poetry and the classics captured my youthful heart). He helped guide an unprecedented age of growth in a global church. And yet, almost to a person, no one at his funeral wanted to talk about the extensive impact he had across the world. 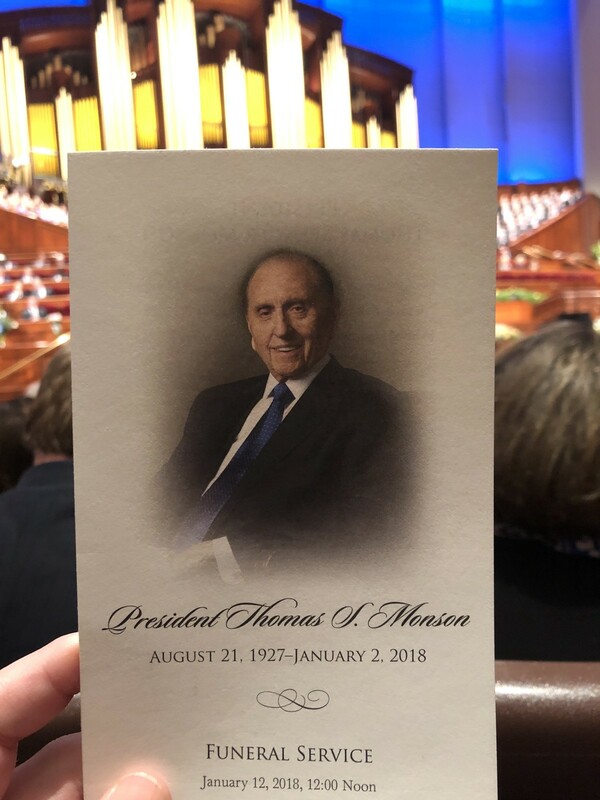 When it came time to memorialize Tommy Monson, all anyone wanted to talk about was his personal ministry. From his care for each of the 89 widows in his ward as a young bishop to those last few visits to dying friends in the hospital over the final year of his life, stories of his service to individuals were the bookends of a life worth celebrating. And I believe that’s how he wanted to be remembered. Remarkably, his status as a famous, powerful leader was all but forgotten. In the end, the memories of sitting by the bedside of someone he loved in their time of need was all that really mattered. I’ve met some pretty amazing people in my life, but Matt Hillyard will always be one of the most memorable. Matt and I had several things in common: We are the same age and we both LOVE pancakes, hugs and karaoke. But we also have one major difference: Matt was born with Down Syndrome. Oh, and Matt is way cooler than I will ever be. While not quite as famous as President Monson, Matt was a local celebrity (this article about Matt’s passing by Robert Gehrke is better than anything I could write, and I just cried reading it for the 5th time). Matt’s dad, Lyle, has been serving in the state legislature since Matt and I were five years old. Because of that, Matt became a fixture at the State Capitol. And by fixture, I mean he could go anywhere at any time and hang with anyone in the legislative or executive branch. Here’s a video of Matt wandering through the halls of power on his 38th birthday hugging 42 people. You know you are important when the Governor takes the state plane to make sure he doesn’t miss your funeral. I wish you could have attended Matt’s funeral with me and hundreds of others. As I listened to siblings and friends tell their own personal stories, I realized something: The reason we all loved Matt so much was that he managed to make each of us think that we were his best friend. Have you ever met a long-lost friend that you haven’t seen in years? That’s how it felt EVERY TIME I saw Matt. He would hug me tight, grin from ear-to-ear and giggle with joy…all while patting my chest and saying “you my friend.” He may have had special needs, but somehow he made me — and everyone else — feel special. Every single time. Thank you Lyle and Alice for sharing Matt with the world. You’ve probably never heard of Glenn Mower. If you don’t live in Fairview, or maybe Mt. Pleasant, there’s no reason you would have known him. Glenn Mower died last week. No one is writing newspaper articles about Glenn. But I wish they would. Glenn was born on a small dairy farm in Fairview in 1945. His parents died in a tragic car accident when he was 20. He married his sweet Marian — a divorcée with 3 kids of her own — a few years later. He loved and raised her kids as his own and they had a daughter together. Glenn worked hard to provide for his family, but life was never easy. He had jobs in law enforcement, sales, manufacturing, and auto/home glass repair. His wife has been ill for many years and Glenn lovingly cared for her, always making meals and doing dishes. Glenn loved God and everyone around him. I was called to serve as a bishop in my church when I was just 29. I had my day job as a telecom executive and had just been elected mayor of our small town. I was young, dumb, overwhelmed and really had no idea what I was doing. Glenn was 30 years my senior. But when I asked him to serve as my executive secretary, he didn’t hesitate to say yes. I’ll never forget him pulling my wife aside, with four small kids in tow, and telling her, “Don’t you worry, my job is to make your life easier. I will make sure your husband is home helping you as much as I possibly can.” And that’s exactly what he did. 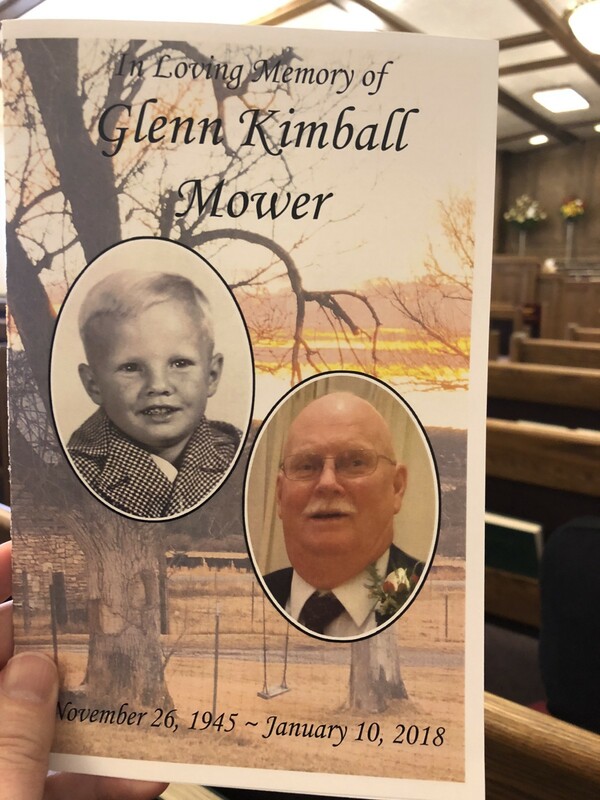 Glenn had a beautiful, simple funeral today — befitting the beautiful, simple man that he was. Ward members and friends shared their memories of countless acts of service. His 20 grandchildren and 30 great grandchildren are his legacy. Glenn didn’t change as many lives as Thomas Monson or Matt Hillyard, but like Thomas Monson and Matt Hillyard, he changed mine. You are probably wondering why I’m writing this. Honestly, I’m not even sure myself — except that I felt compelled to. I should probably have something more profound to say at this point. I guess, more than anything else, despite all the differences between these men, I was struck by the similarities of their funerals…and not just what was said, but what wasn’t said. Conspicuously absent from their services was any discussion about politics. I have no idea where these three men stood on the Affordable Care Act or the GOP tax cuts. No one talked about earthly possessions or fame or fortune. The thing that mattered most…and maybe the only thing that mattered at all…was their service to others. It would seem then, that true greatness, the real measure of a man, comes in the way he or she treats others. Martin Luther King Jr. said it so well, “Everybody can be great … because anybody can serve. You don’t have to have a college degree to serve. You don’t have to make your subject and verb agree to serve. You only need a heart full of grace. A soul generated by love.” Thomas Monson knew that. Matt Hillyard knew that. And Glenn Mower knew that. Last month Gallup conducted their annual poll of the men and women Americans most admire. As is the case almost every year, politicians topped the list, with Barack Obama/Donald Trump and Hillary Clinton/Michelle Obama finishing first and second respectively. Look, as someone in my line of work, I should be REALLY excited that people are looking to politicians with laudatory admiration (and in fairness, Pope Francis did finish third). But maybe, just maybe, our country would be better off if we started looking elsewhere for inspiration. What if we paid a little less attention to the President’s Twitter feed (and the Lt. Governor’s :)), and started celebrating the small acts of love and kindness all around us? Even better, what if we became the people spreading that love and kindness and forgiveness and happiness…striving a little every day to “make gentle the life of this world?” And when all is said and done, maybe, just maybe, we can all have funerals like Tommy, Matt and Glenn. Husband. Father. Utah Lt. Governor. Recovering Attorney. Bassist. Happy.